While getting a kitchen sink does not need a high level of creativity, you still have some kind of freedom in deciding the material, color, and method of installation of the sink. With the advent of the new age, so many materials have been used in manufacturing, giving sinks in so many different colors. This diversity gives you the choice to get the appropriate material and favorite color. Then, you will have to install your sink, which can be achieved in different ways. Your first choice is whether you prefer a single-bowl or double-bowl sink. If you are the sole person doing the kitchen tasks, a single basin will be your target as it suits washing large utensils that need one big basin rather than two small ones, especially if your kitchen space is modest. On the other hand, if you are lucky enough to have a partner to help you, get the double-bowl sink so that both of you can share doing the dishes and pans together. 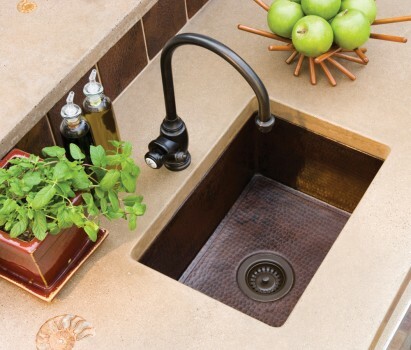 You can get two big basins of the same size and depth for a spacious kitchen or two equally-sized bowls of different depths so as to use the deeper for soaking greasy utensils and the other for washing. But, if you have a small kitchen, get two bowls of different sizes and same depth. Concerning installation, there are three possibilities, among others. First, you can get the traditional but still popular style of the farmhouse sink with a large front in the place of a part of the countertop. This style appeals to those who tend to the country life and its traditions. However, this model has been modernized by the stainless steel and other composite materials to suit the modern life. Second, the over-mount sink is mounted over the edges of the hole in the countertop. This kind of sink has to be fixed to the countertop edges with a seal which absorbs stains, making your sink lose its luster. Though it is an old trend, the stainless steel and porcelain give it a modern look. 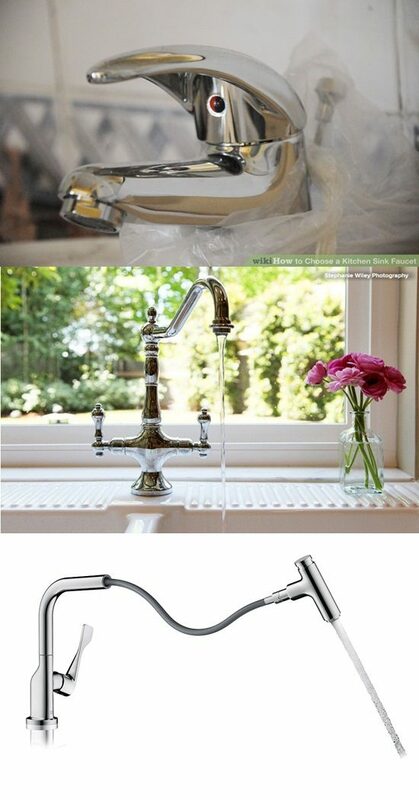 Third, the under-mount sink is a new trend that has entered the competition bravely to be the second to none. This sink is fixed to the underside of the countertop edges so as to look suspended below the top, giving you a sleek, smooth look.